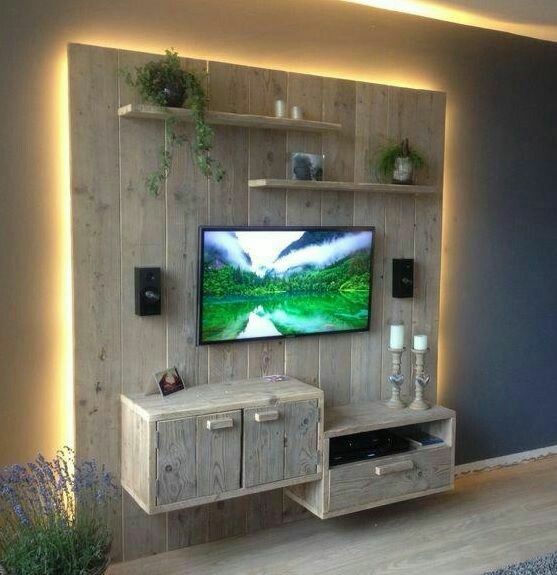 Designing a wall is a great job for your home, especially the television wall, as it can be used in many different ways. Here are few ideas as how to make the most of this design….. 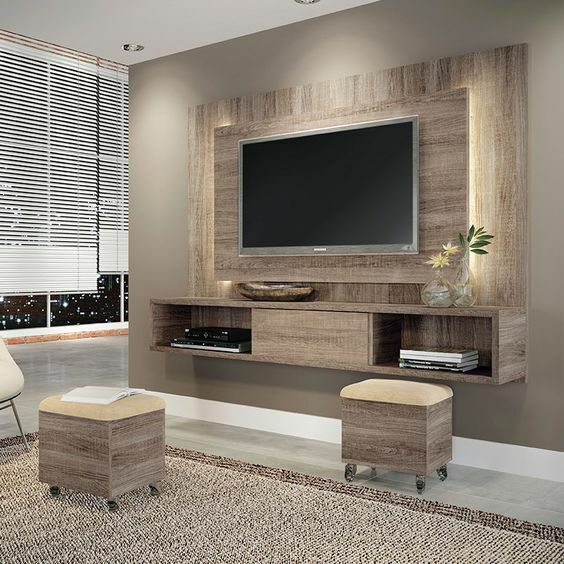 Wooden panel-If you love the classy and minimalist look, then give a wooden treatment to your television panel. It comes in different shades of browns to beige and other natural wooden shades. It is also available in different textures. Best for the people who want to add a classy appeal to their room but without overdoing it. Since wood is a natural element, therefore it also gives a very natural feel to the ambiance. 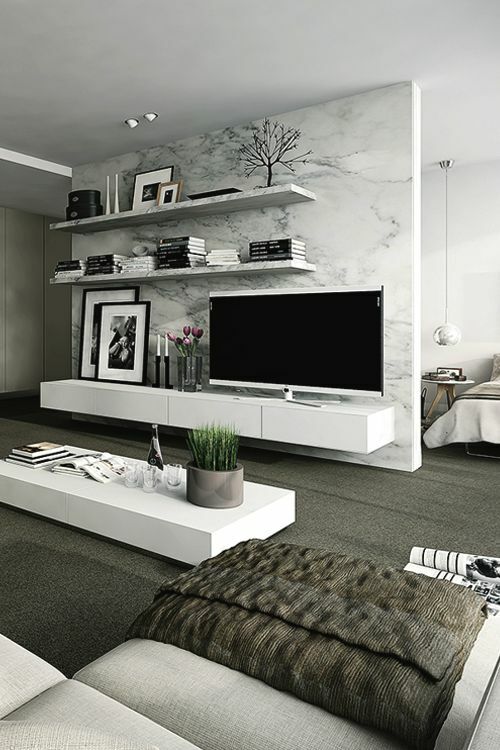 Marble effect– Marble is a fuss free element. 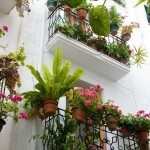 It looks great and is a symbol of luxury too, as it gives a royal and luxurious look to the home. It comes in dark as well as light shades. But lighter shades are preferable for homes and small spaces, as it makes the ambiance more lively and gives a illusion of being spacious. 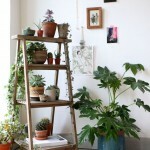 Creating shelves– A plain wall can be well decorated by creating different wall panels. 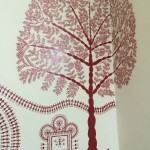 It provides a good amount of space for decorating the wall too. 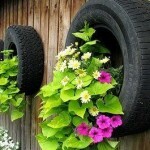 You can either work around a theme or just randomly decorate them with different flower vases, photo frames etc. 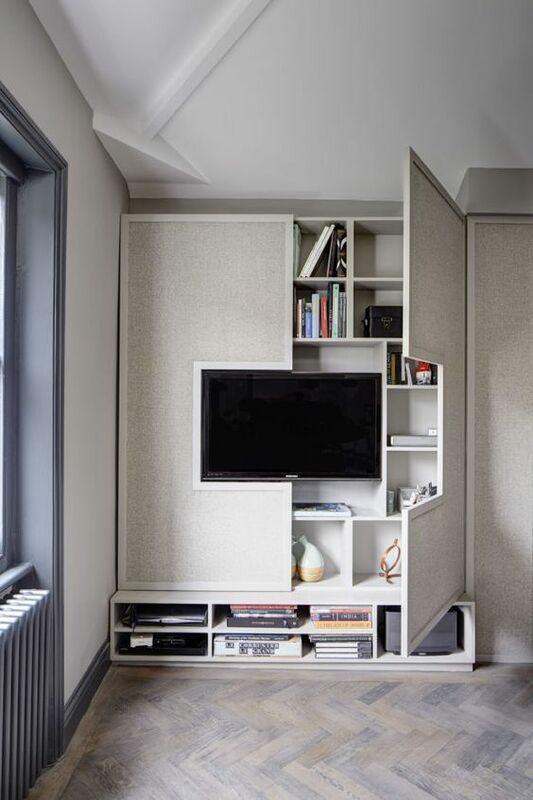 Be creative and create panels in different shapes and sizes around the television to make the maximum use of space, this space can also be used for keeping books. 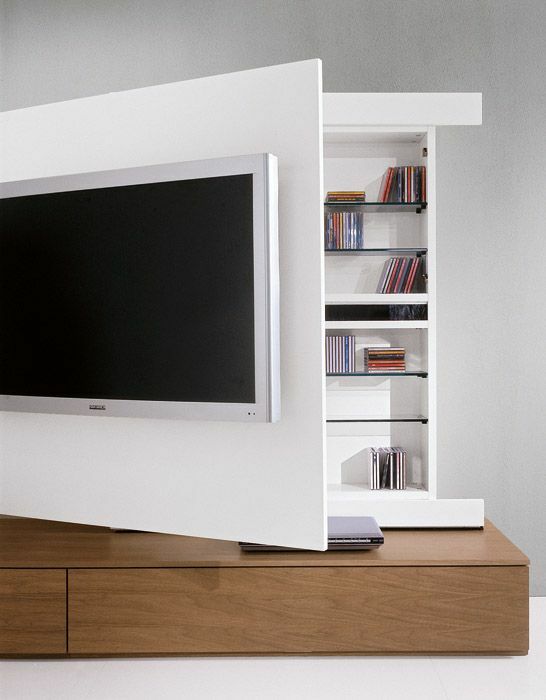 Hidden closet– Well you can also create a hidden closet or a wardrobe behind the television panel to make maximum use of the space. It can be used as a library for the books, or use it to store different stuff which you have no idea as where to keep them. If you are planning to have something like this in your bedroom, then turning it into a wardrobe is a great idea. Back lit panel– This is a very popular trend nowadays. Use of Back lit LED lights makes the panel look more prominent and highlighted.